Fresh content is provided daily through our radio ministry, Gospel Daily. 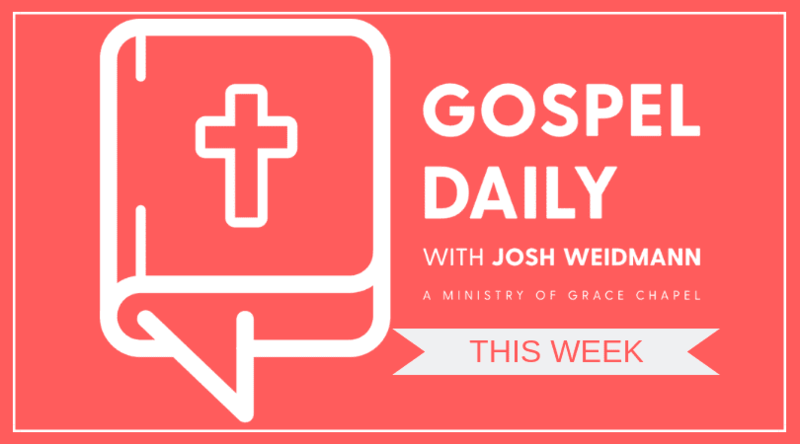 Heard along the Colorado Front Range on 990 AM and 94.7 FM, Josh Weidmann brings you a commentary before and after the sermon that makes it feel like Josh is sitting in the car or gym with you — or wherever else you may be listening. In the I AM Series, Pastor Josh Weidmann looks at 6 attributes of God and discusses why these particular attributes matter to our daily lives. Too often, we don’t fully understand who we are and why we exist. Do you worry about living a mediocre life or not leaving a significant legacy? Your view of God doesn’t just define who God is, but it defines who you are as His child. What we find awe in is what we believe will give us identity, meaning, purpose, pleasure, etc… Let the awe of God keep your impact and self-value in the right place.